Operating in over 600,000 square feet in Los Angeles, CA and Columbus, OH our manufacturing and warehousing facilities are vertically integrated. Our company headquarters are just minutes away from downtown Los Angeles and the port of LA in California. If you are in the Los Angeles or the Columbus area, please be sure to stop by and visit our factory showrooms where many of the products we offer are on display. Whether you are around the corner or around the world, most orders ship within 24 to 48 hours of receipt. Salsbury Industries employs approximately 200 dedicated men and women. 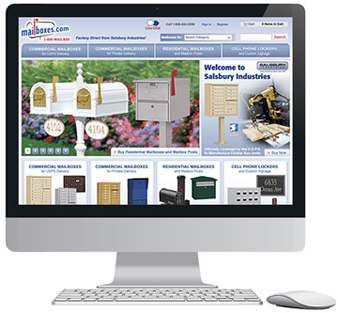 The industry leader in the manufacturing and distributing of quality commercial and residential locking mailboxes. Locking Mailboxes have become a popular choice for individuals looking for added security for their mail delivery. Locking mailboxes include a lock and two keys for the access door and are available in a variety of styles. 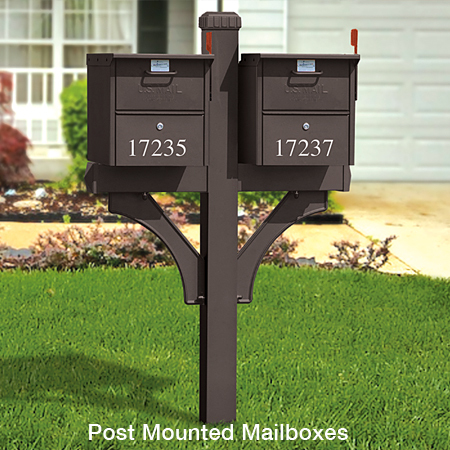 Post mounted locking mailboxes are designed for curbside delivery and can be ordered as Roadside Mailboxes and Mail Houses. Post mounted mailboxes can be installed in the ground and secured with concrete or they can be bolted to existing concrete. Our locking mailboxes are ideal for residential, commercial, schools, goverment facilities, office buildings and many other applications. 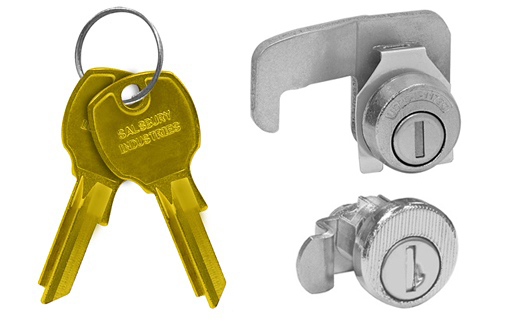 Salsbury Industries is officially licensed and authorized by the U.S. Postal Service to manufacture Cluster Box Units (CBU’s). Ideal for commercial and residential developments, CBU’s are made of heavy duty aluminum and stainless steel hardware. Salsbury CBU’s are manufactured to U.S.P.S. “F” specifications and feature a durable powder coated finish. 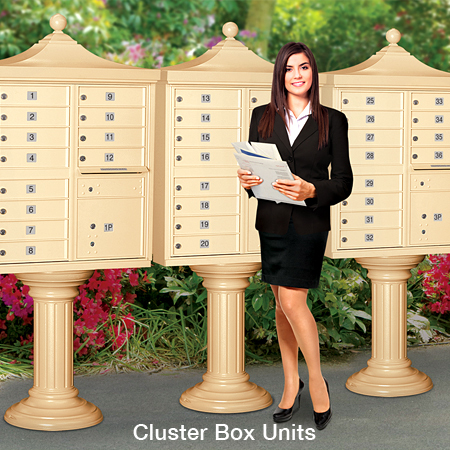 Post Mounted Mailboxes are designed for curbside delivery and are available in locking and non-locking styles. Post mounted mailboxes can be installed in the ground and secured with concrete or they can be bolted to existing concrete. Rural Mailboxes are U.S.P.S. approved for curbside delivery and come in a variety of styles including Heavy Duty Rural, Antique Rural, Deluxe Rural and Eagle Rural. Wall Mounted Mailboxes are designed to be mounted on walls, doors and other flat surfaces and are available in locking and non-locking styles. Traditional Mailboxes are made of electro-galvanized steel and are accessed through a top lid. Townhouse Mailboxes are made of die cast aluminum and are accessed through a top lid. 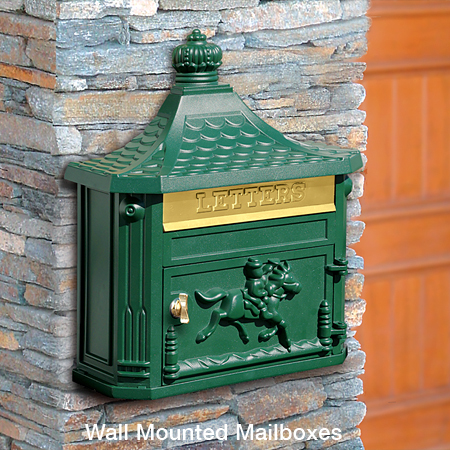 Locking Cast Aluminum mailboxes are made of die cast aluminum, have a solid brass mail flap with "MAIL" cast into it. 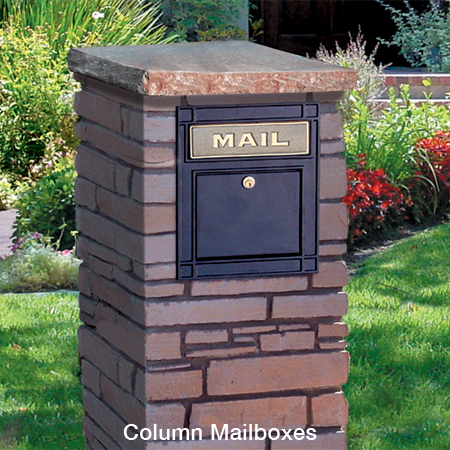 Non-Locking Cast Aluminum mailboxes are made of die cast aluminum, have a gold finish pull knob on the door. Antique Brass column mailboxes are made of solid brass, handcrafted to provide a custom look and have a door that is designed to be accessed from the front. Order Factory Direct! • Volume Discounts! © 2018 Salsbury Industries. All rights reserved.